The C&C Slip Case was specifically designed for the three core books: PHB, CKG and MT. However, now that the M&T is going to more than double in size, the slip case is no longer a viable option. Now that the M&T 4th printing is all but sold out we have 47 cases we cannot use for anything, so we are offering them here for you. 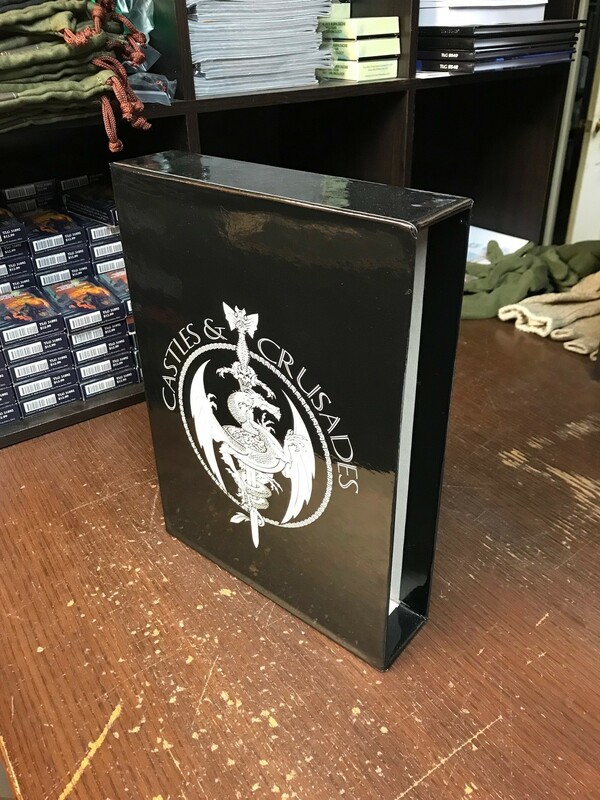 Each case is made of very sturdy board and wrapped in a gorgeous black and white cover sporting the C&C Logo. Get yours while supplies last!